Then you have come to the right place. 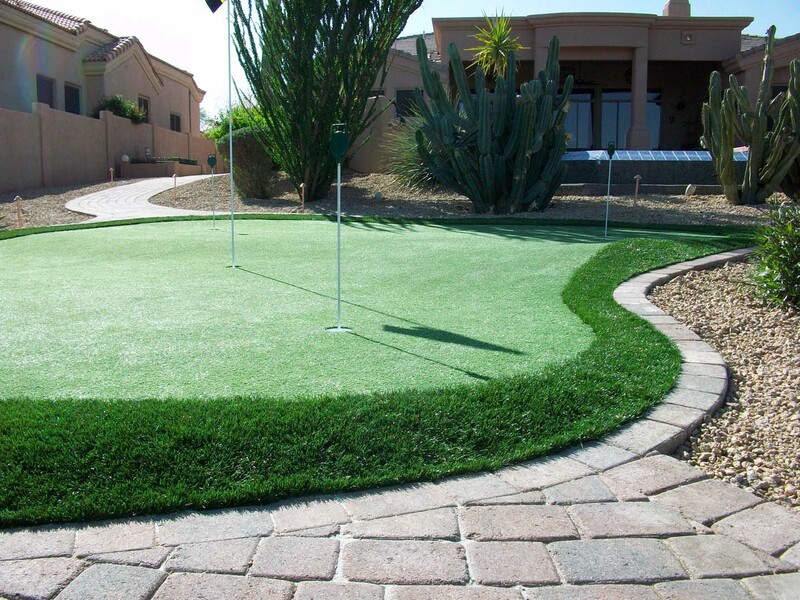 Creating putting greens is our specialty. 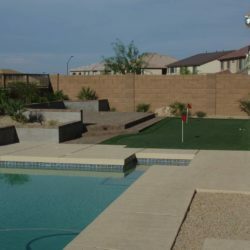 If you play a lot of golf then you know putting greens that Phoenix golfers benefit from need to be correctly executed. When they are not set up correctly it can be detrimental to your game. 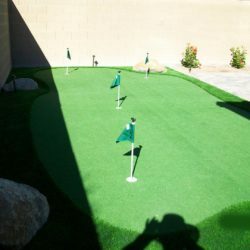 At MasterAZscapes LLC, we are professionals at designing and installing the perfect putting green to help you improve your game or simply create your own backyard entertainment. Our designers and landscapers work with you to create the ideal putting green of your dreams. 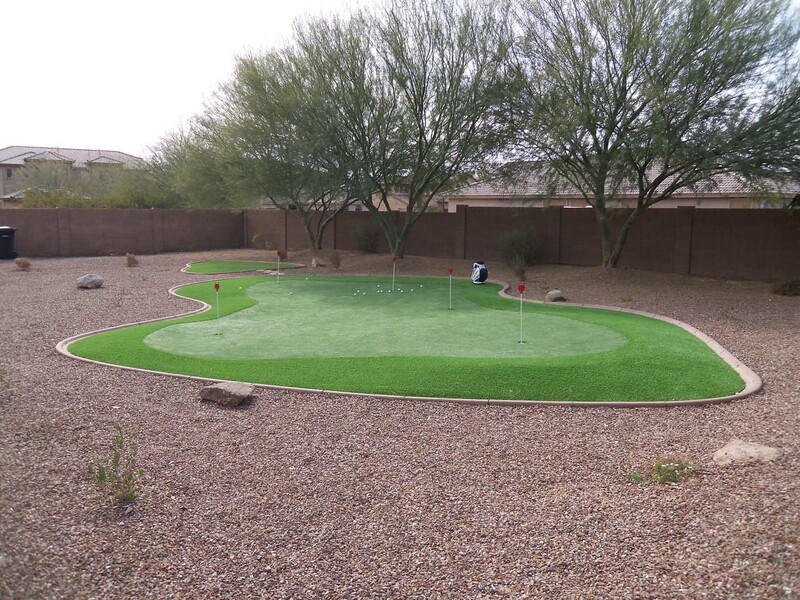 From simple, single-hole putting greens all the way to full-size, multi-hole miniature golf courses, we can do it all. The design layouts can be as creative as you want them to be. 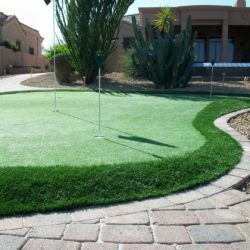 Our talented designers have years of putting green design experience to draw from. We start by surveying your space and deciding on the options according to the size and shape of the area. 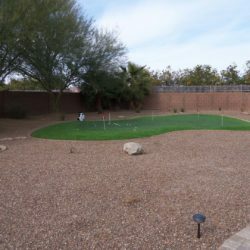 From there, we discuss your desires for your putting green in terms of the number of holes, the level of difficulty, the type of turf, and other related information. We draft options for you to look at and make any adjustments to them that you want. If you are not quite sure what you are looking for, perusing through our portfolio will likely spur some great ideas. 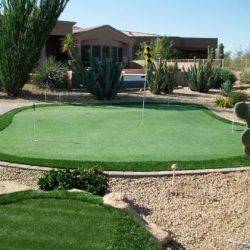 When it comes to putting greens, Phoenix technicians with our company provide complete service. We are here for you from design to implementation. We set up the watering solutions for natural turf putting greens, so you can keep them looking great year-round. You will be thrilled with the end results—we have many happy references to prove it! 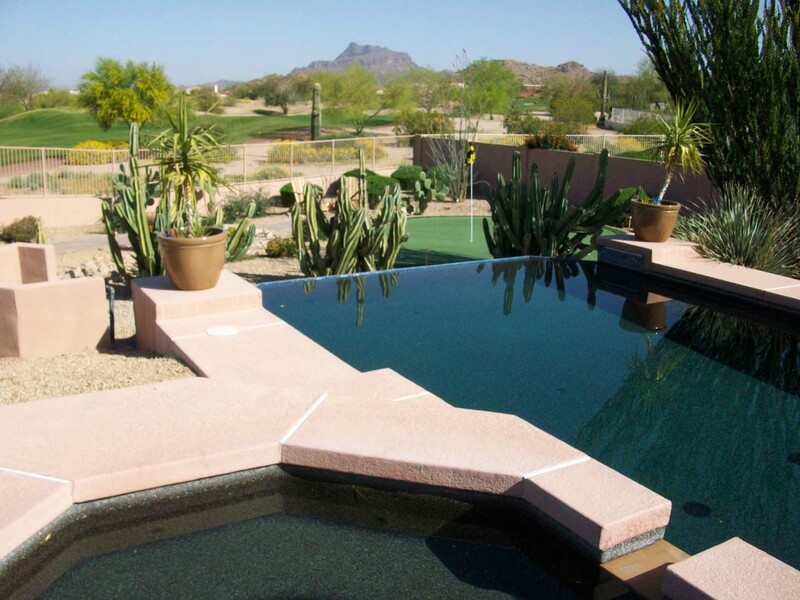 Make your own putting green an outdoor oasis by combining water and fire features. Or make playing golf an all day, all night thing by adding outdoor lighting and an outdoor bar. You can practice your putting any time and be only a few steps away from a refrigerator stocked with all your favorite cool beverages. With the right lighting to make keeping your eye on the ball easy, you can play in those cooler evening hours to avoid the summer heat. Imagine the improvement you can make in your game when you have your own practice course! Impress them at the club with your stellar performance on any putting green. You can even add a mini course for the kids. 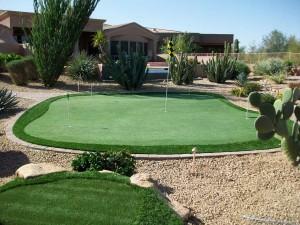 Our putting greens Phoenix golfers love are custom for you and your family. Get everything you’re looking for right in one place. 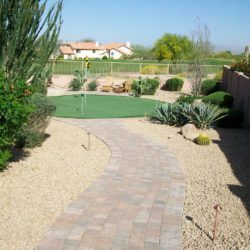 Call today for a FREE Design Consultation or for any landscaping inquiries! 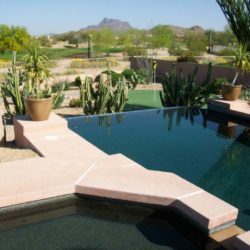 We cover all your artificial turf needs. 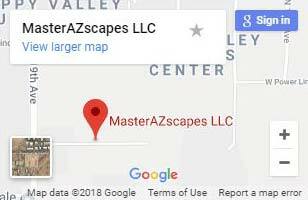 MasterAZscapes offers a wide variety of artificial turf selections with competitive pricing. 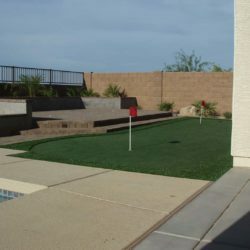 We install high quality artificial turf and guarantee all our turf. 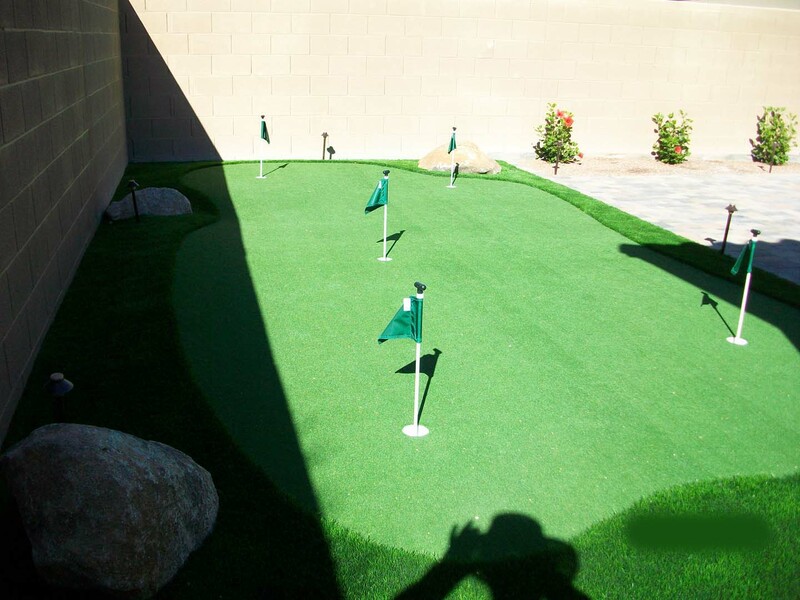 We offer our putting greens with creative layouts, chipping boxes, and sand traps. 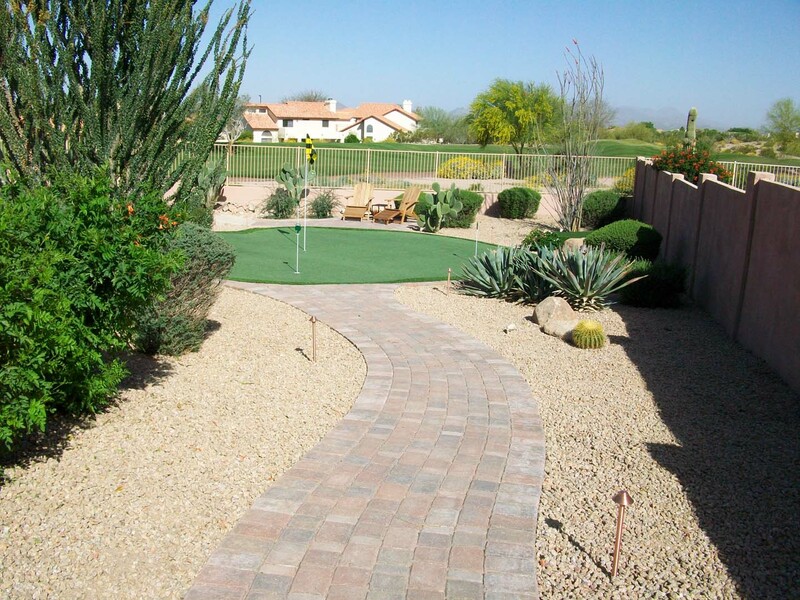 Bring the golf course to your very own backyard. 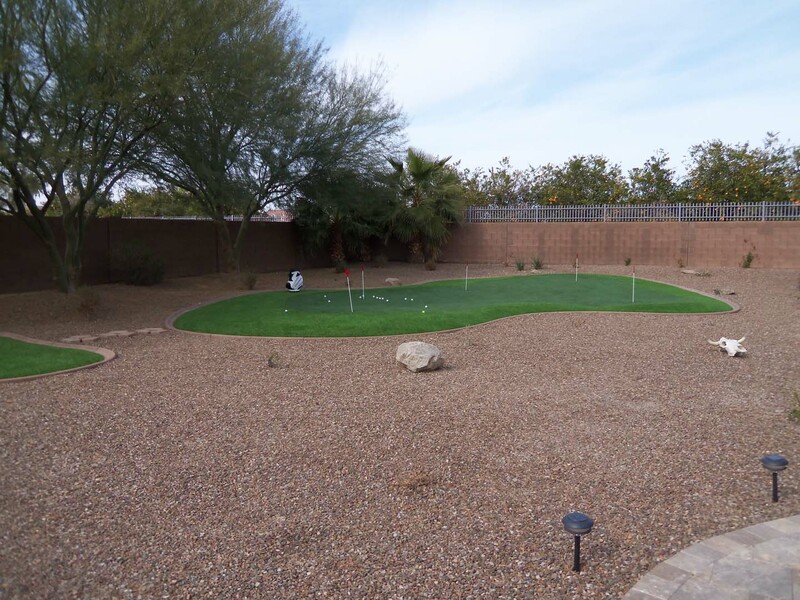 When you’re looking for the best putting greens, Phoenix trusts in us. 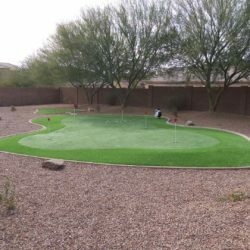 Call (623) 780-0474 or Contact Us today for professionally designed and installed putting greens in Phoenix. 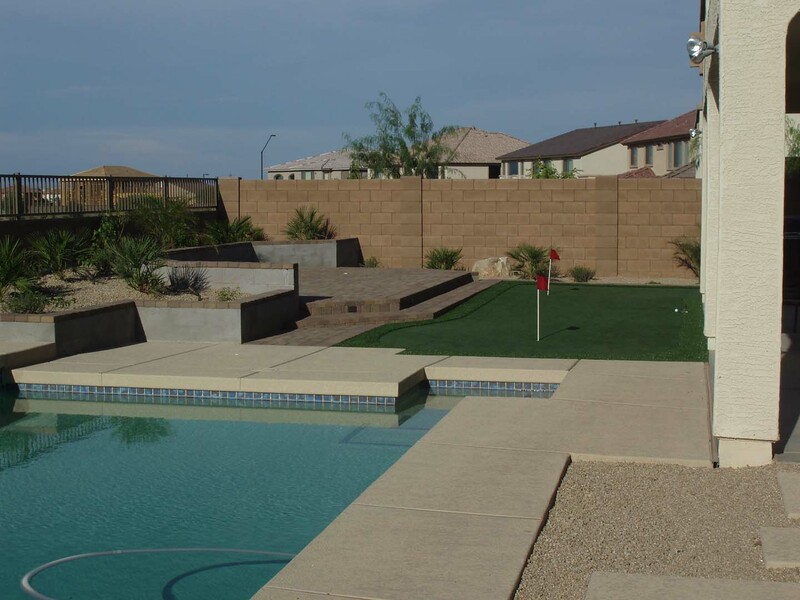 Arizona’s summer heat can make synthetic turf hot to the touch for little feet. 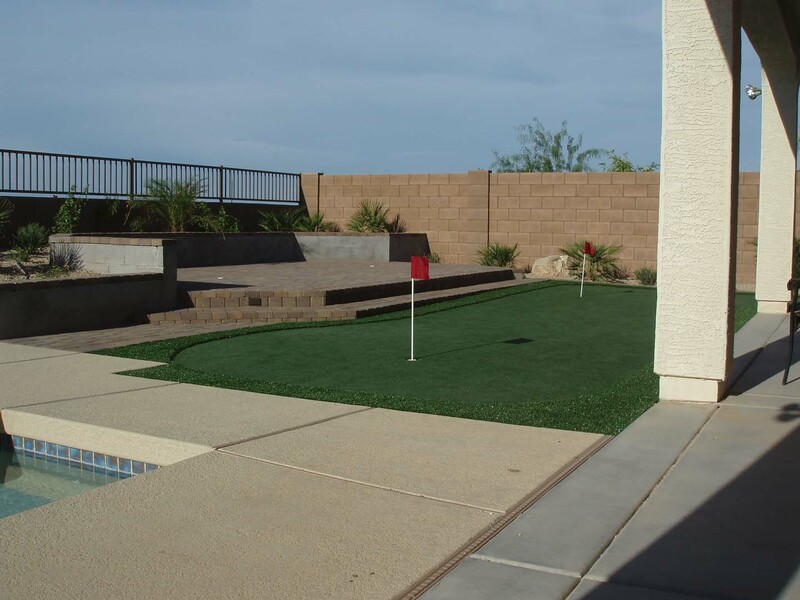 Make sure to ask about our synthetic turf cooling system and the difference it makes for your families enjoyment.